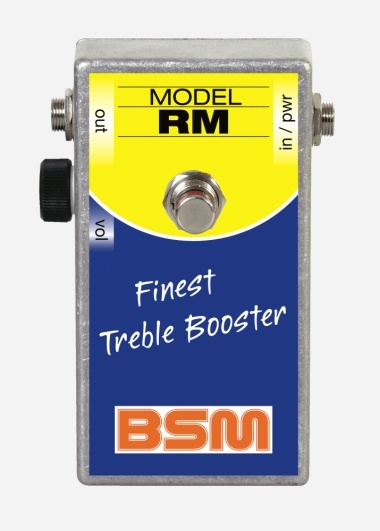 The RM model is based on the British Range Master unit, loaded with a original OC44 Germanium transistor, produced between 1965 and 1969, as used by Eric Clapton in John Mayall’s Bluesbreakers, Brian May in early Queen and early Rory Gallagher. 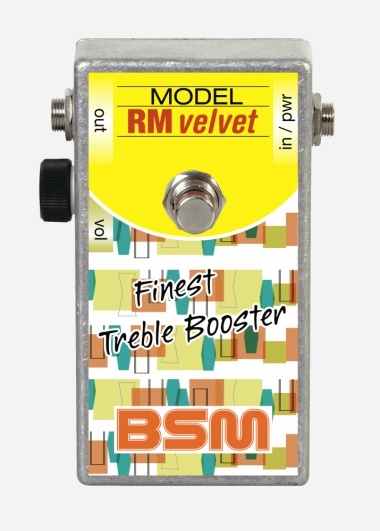 The RM Velvet is loaded with the mild and mellow sounding OC76 Germanium transistor like the OR model and is therefore the perfect Blues machine, like a crossover between the RM and OR model. The RM Early Days is based on the short lived first version of the Rangemaster. A tad more brilliant like the RM. 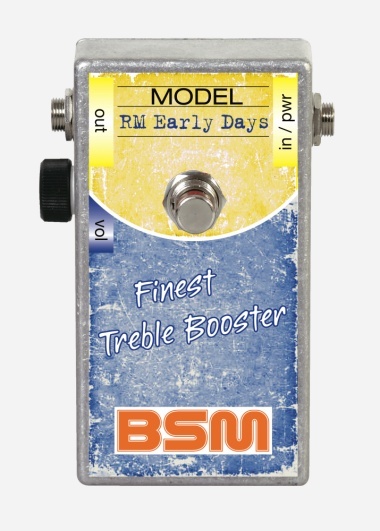 The HS-S model is the follow-up of the germanium-transistor loaded 1967 Hornby-Skewes Treble Booster, now the 1969 version, equipped with one of the earliest silicon transistors, used by Blackmore on ‘Machine Head’ or Martin Barre (Jethro Tull). 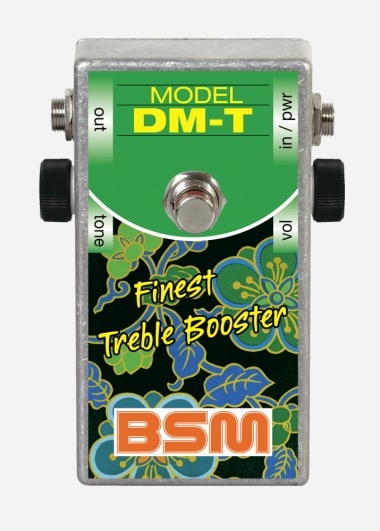 The HS-S model is the follow-up of the germanium-transistor loaded 1967 Hornby-Skewes Treble Booster, now the 1969 version, equipped with one of the earliest silicon transistors, used by Blackmore on ‘Machine Head’ or Martin Barre (Jethro Tull). 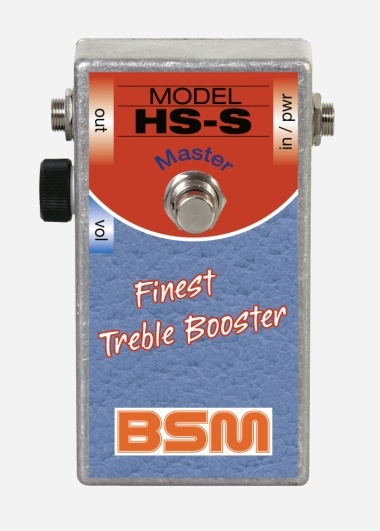 The HS-S Master model features added volume control. The RW-F was developed for low output Humbuckers and P90s for a classical Ron Wood in The Faces or Steve Marriott in Humble Pie sound in the first place but fits single coils just as well. Great to clean up muddy neck Humbuckers. A real Swiss knife! 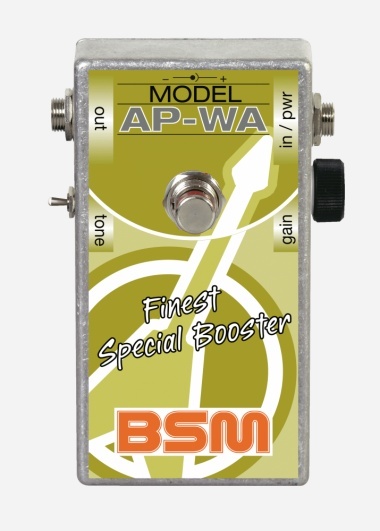 BSM designed the AP-WA special Booster to celebrate Andy Powell’s glorious 70s sound inWishbone Ash. But it could also be used for Michael Schenker in UFO or Gary Moore Les Paul sounds. It is a very crisp sounding unit with a switch to enhance the bass. Great for ES335s.